Our scholars live primarily in two neighborhoods in Guayaquil: Flor De Bastión and Guasmo. Some of our Starfish families moved to Flor de Bastión 20 years ago from other parts of Guayas and other provinces of Ecuador such as Manabi. The barrio still does not have an official government presence; no basic services are offered. 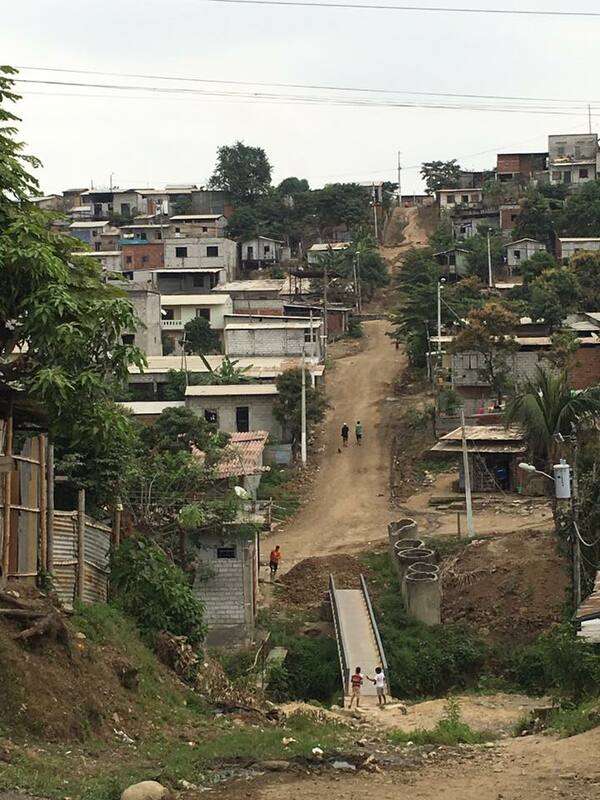 Flor de Bastión has long, winding, and unpaved hills. During the dry season, it can be windy and dusty, and in the rainy season, muddy. Guasmo takes up a large part of southern Guayaquil. It is a few years ahead of Flor de Bastión in terms of development. In the last few years, dirt roads have been paved and running water installed in homes. Guayaquil is the largest city and chief port of Ecuador. Cacao, coffee, and bananas are the main exports of Ecuador. 70% of Ecuador’s exports leave through this port, while 83% of imports enter this port. Meet our Guasmo and Flor de Bastión students! Many of our scholars have sponsors who provide them with the materials and support they need to excel in school and beyond. Unfortunately, not all of our students have a sponsor. Check out the many sponsorship options we have to support our scholars and consider changing a life today!